Tuesday we took a look back at some of our 2017 favorites (read post here). Today we thought it would be fun to share YOUR favorites. Then it's on to the future and what we have planned to start 2018! #5 This past year was a big one for us - we turned 40!! It's hard to even type that. When I was younger, I remember thinking how old 40 sounded. However, now being 40, I don't feel old at all! And isn't 40 the new 30? Or 20? We have a few more wrinkles (ugh! ), and for sure more wisdom. You all loved the post where we shared 40 Random Things About Us. These posts are fun to write, because we get to share some random facts about ourselves and our life! This was one of our favorite looks! A dress and booties is such a cute combo! #4 Flattering shorts with a cute cami make a perfect Summer combo! 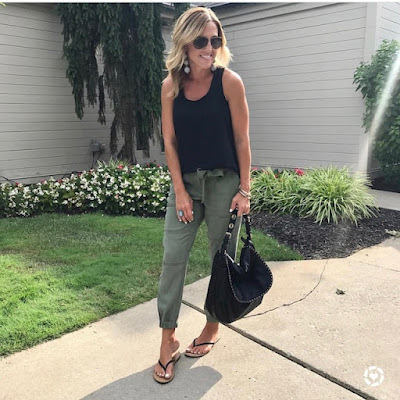 This post where we shared 4 Stylish Summer Pieces, also included a pop of color with some wrap up sandals. This black and white combo is a classic color combo that never goes out of style. #3 Two items that probably get the most wear in our closets are our utility jackets and utility vests! We wear them all the time!! We still believe that these are 2 Items Your Fall Wardrobe Needs (or any Season really!) 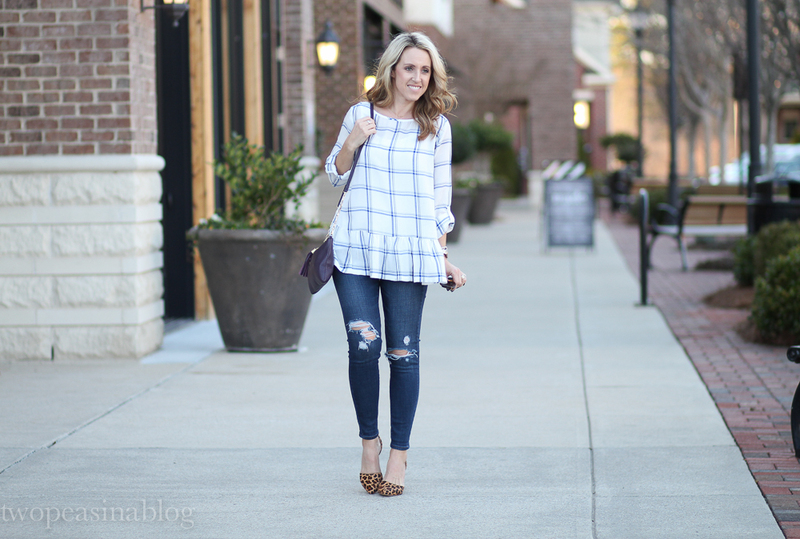 Worn as a casual look or dressed up with heels, they work! 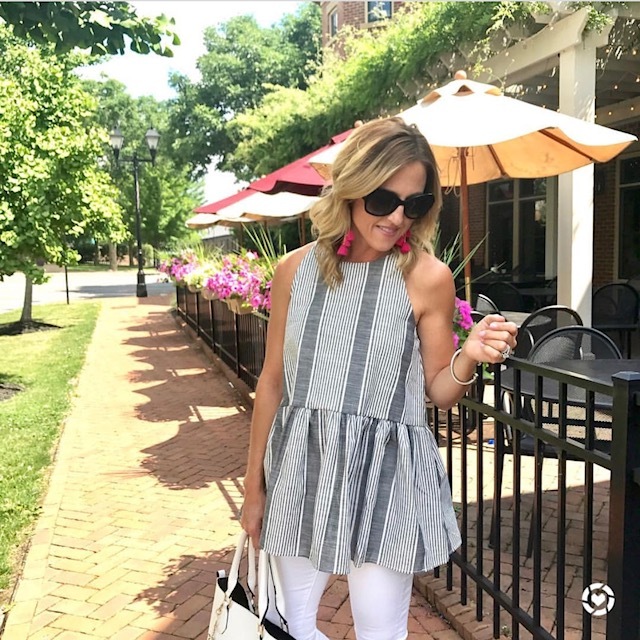 #2 This post incorporates two favorites - a gorgeous window-pane peplum top and it was the day Betsy got to pick up her new puppy! If you've followed us for a while you've seen Betsy's dog Maggie! She's so cute and is quite ornery! Betsy shares her a lot on our Insta Stories so be sure to take a look. #1 One of our absolute favorite styles to wear is a peplum! A Stripe Peplum Halter was one of the cutest pieces!! This top was super popular over the Summer and we hope they bring it back in 2018. Flattering, breezy, and a classic print. Of all the pictures that we posted to Instagram all year, these are the top 5 liked pictures. And, as you'd expect, they overlap with the top 5 items bought! 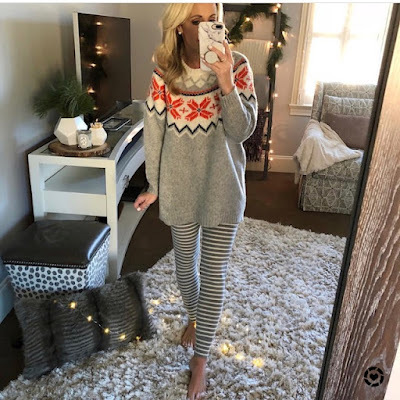 I simply adore all of your clothing! You always look so put together! I can't wait to see what fun outfits you will share in 2018!